This is a Cape Town based NGO which, to quote its website www.wordworks.org.za - �supports early language and literacy learning among children from historically disadvantaged communities in South Africa. By sharing our materials, know-how and enthusiasm with teachers, parents, volunteer tutors and home visitors in a respectful and inclusive way, we seek to ensure that all our children can learn to read and write successfully�. 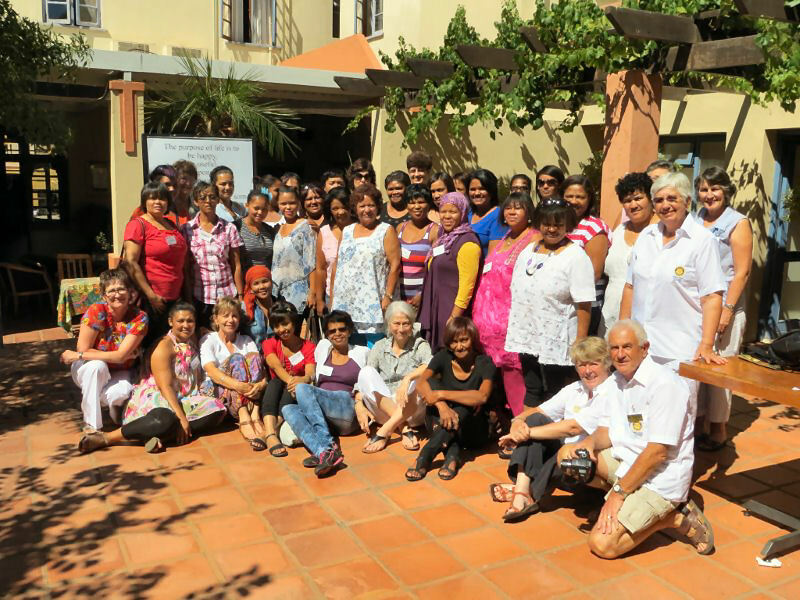 Our local teachers were recently trained in Wordworks� Home School Partnership Programme (HSP) by the programme�s two founders, Brigid Comrie and Cathy Lincoln, who had come from Cape Town to run the course. The Home-School Partnership Programme empowers parents and caregivers of children aged between four and seven years to support informal learning in the home. Trained facilitators (often foundation stage teachers) run the seven-week course of workshops for groups of about twenty parents and carers, usually at a preschool or primary school. The Programme not only helps to foster a culture of learning among families, but also builds stronger relationships between schools and the families they serve. For many parents, it is often the first time they have been encouraged to value their role in their child�s education, resulting in a new confidence and sense of shared endeavour. The course is the first part of a 2 year early literacy project funded by the Breede River Winelands Rotary Club from a grant obtained from the Chicago based Rotary Foundation which also involved generous support from the Rotary Club of Swansea in Wales and the local Rotary International District 9350. It has the enthusiastic support of the Cape Winelands Department of Education.